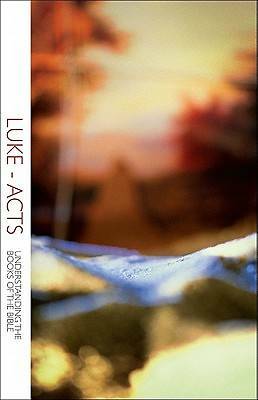 This study guide will take individuals or groups through Luke and Acts in 32 sessions that correspond with their natural parts. Readers will discover that these books are actually the two parts of a single story that tells how the community of Jesus followers began with his life and ministry and then spread around the world. The readings and discussion will help them recognize the ways God is still working today and how they can be part of what God is doing. The Understanding the Books of the Bible series helps readers understand the biblical story by not only talking about what the authors wrote, but also how they wrote. Quite often, recognizing whether a passage is poetry, proverb, or history and discerning how the author built his book will unlock its meaning for today's reader. Instead of following artificial chapter and verse divisions, these Bible study guides lead groups through whole books following their natural outlines, and pose engaging questions for discussion and personal application all along the way.